It’s critical that Audi gets the entry point to its range right. It’s got to offer everything that Audi is renowned for, while also keeping costs in check as margins are low. Despite having mechanical bits that aren’t far removed from the Volkswagen Polo, the A1 has to be a proper Audi. Slightly longer, slightly lower and slightly wider. There’s certainly no mistaking it for something else. 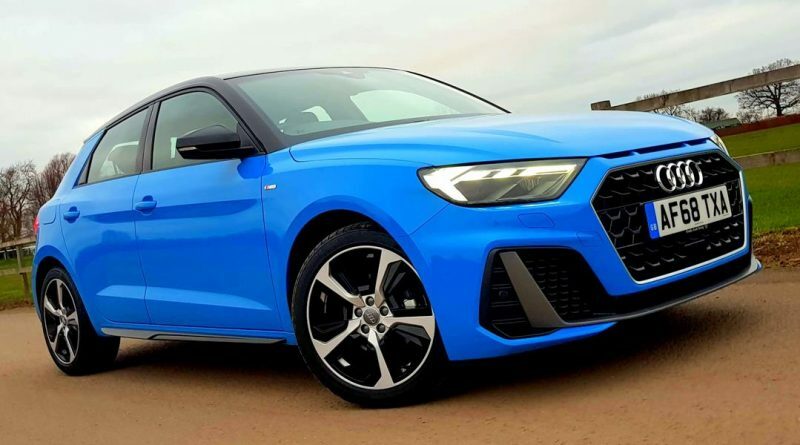 It’s sharp edged, athletic and aggressive, with new styling cues adding clear ground between the cutesy A1 of old and the new, more confident model. The modern Audi grille dominates at the front, topped by rally-inspired air intake ‘nostrils’. They’re not actually functional, added for design rather than purpose, but they cleverly hide the shut line between the bonnet and grille and add an air of aggression missing from the original. It’s more conventional as you move backwards, with sculpted sides giving way to a recognisably Audi rear end. It’s worth speccing the two-tone roof though, as it adds an extra degree of excitement to the car which is lost when looking at models with flat colours. This S line model also comes fitted with some spectacular optional wheels, but the standard 17-inch rims suit the car nicely. Optional 17-inch wheels look great. Step inside and it’s as Audi as an Audi gets. It’s arguably better looking than the A8 luxury-limo, the more compact nature of the cabin requiring a more elegant, minimalist style. That’s dominated by a 10.1-inch touchscreen that sits at the top of the centre stack, neatly integrated into the dashboard. That’s part of the optional technology pack that also sees the car fitted with Audi’s Virtual Cockpit – the 10.25-inch customisable digital screen that replaces the traditional instruments – and allows for the display of Google Earth-based navigation, audio information, or all manner of other data. 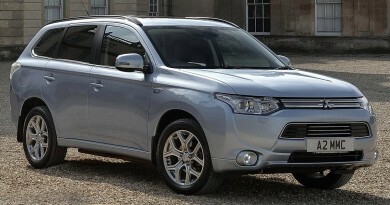 That’s a £1,650 option, and includes navigation. The standard kit still has a decent 8.8-inch screen, and Android Auto and Apple CarPlay are present to allow smartphone-based navigation, so you’ll have to weigh up the value yourself. Whichever way you go, the front seats are a special place to spend some time. Better looking than an Audi A8? Possibly, although material quality isn’t as high. It’s not too bad in the back, either. The new A1 is marginally larger than the old car, and that’s allowed the designers to extract more room for passengers. A couple of adults will fit comfortably in the rear, although the sloping roofline and thick C-pillar rob the area of light. It’s not at the expense of boot space either, which is positively large compared to its rivals; there’s 335 litres with the seats up, which is well ahead of the Polo, Mini and Fiesta. There’s only one engine option currently, and that’s a 1.0-litre three-cylinder petrol that produces 116hp. There’s a wider range coming in the spring, with power outputs ranging from 95hp to 200hp. There’s no diesel option though, the market for those slipping away as the government remains unclear about its future. Audi’s Virtual Cockpit is an option. There’s a seven-speed automatic gearbox fitted to this model, although a six-speed manual is also available and will save you £1,520. Despite the diminutive nature of the engine, it’s good for a healthy 0-62mph time of 9.4 seconds, and will sit at motorway speeds quite happily. You’ll be comfortable while you’re there, too. This S line version comes with 17-inch wheels and stiffer Sport suspension (something, confusingly, the Sport trim doesn’t get) yet manages to remain settled at speed, and compliant enough in urban areas – even around Cambridgeshire’s potholed roads. Decent size boot swallows more shopping than a Fiesta or Polo. The wider tyres of the S line model do create a fair amount of road noise, but the payback is a little extra roadholding. The steering is responsive and well weighted, firming up at higher speeds. It’s accurate too, with the front end darting where required with just a flick of the wheel, and grip lasting tenaciously until, eventually, it slowly starts running wide. It’s free of drama, yet is pleasingly entertaining. More so than the Mini, even, and that’s perceived to be about the best steer in its class. Fun doesn’t mean the A1 isn’t frugal either, with 58.9mpg promised by Audi. That’s optimistic, but my time with the car saw it get close to 50mpg, and that’s with my heavy right foot. Elsewhere, it’s not quite so cost effective – equipment levels aren’t as generous as you might wish, so the options list could get hammered, and that’s on top of a steep list price to start with. That said, strong residuals means PCP and finance costs are lower, so monthly payments won’t hurt as much as you might expect; they’re even lower than an equivalent Mini. Aggressive front end is distinctive, but identifiable as an Audi. And, of course, the latest Mini is just more of the same, an iterative change over each previous model. You might also look at the Fiat 500, but that’s so tiny as to be impractical and, at 12 years old, should really be put into retirement by now. Which means that, if you want a compact hatch with an appealing badge and premium feel to it, you’ve got no choice but the Audi A1. And that’s no bad thing.